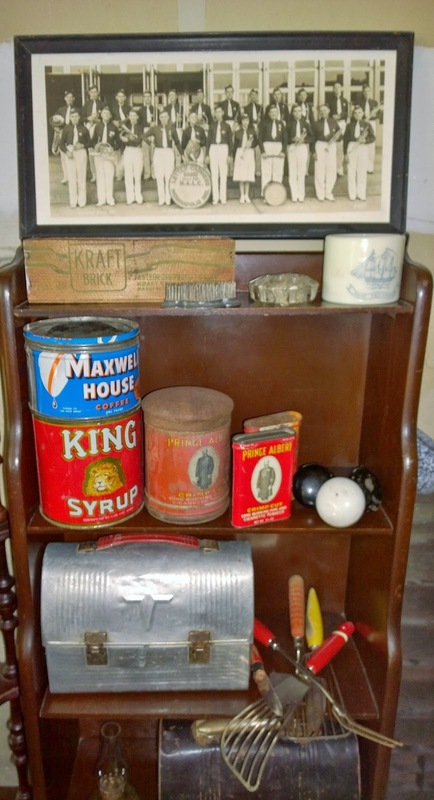 So, we planned on 3 days of junkin' US 40, but ended up only going for 2 days. We were just exhausted (and out of money) by the end of day 2. I only worked 3 days last week at the day job (last Monday being a holiday and Friday was a vacation day), but it had to be the longest week of my life. 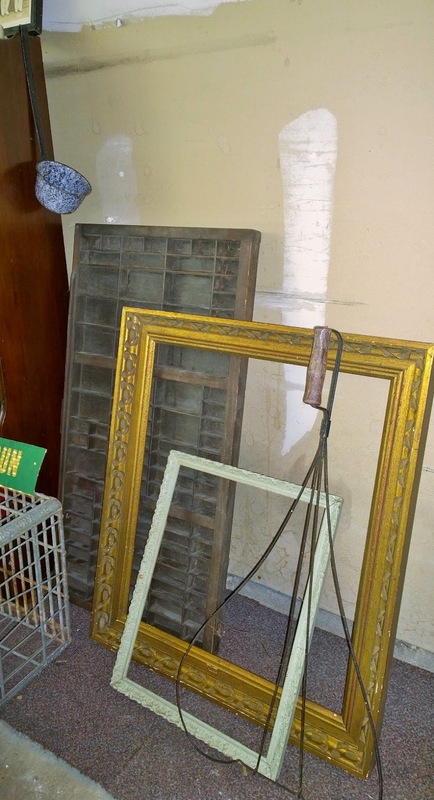 Come Thursday afternoon I was about to burst at the seems if I didn't start junkin' soon. 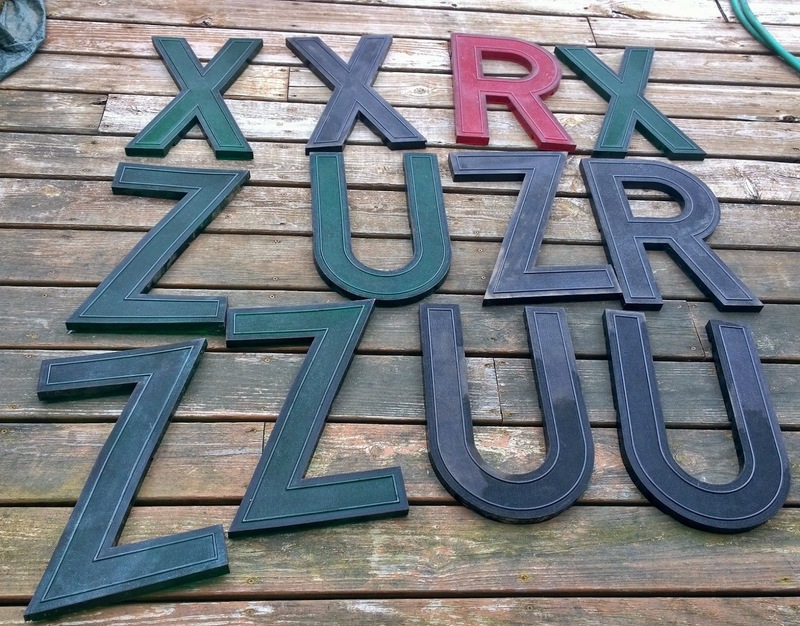 I was browsing Craigslist a little to get an idea for some sales when I came across a lot of something every junker dreams of... old theater marquee letters. And lots of them. I called the phone number in the ad and set up a meeting time for later that evening. I came home with the largest ones out of the about 700 that he had. After I arrived at mom and dad's with the truck full, my mom's sister insisted that we go back so that she could buy some too. These theater marquee letters were made by Wagner Sign Service and according to the patent number on the back, they started producing them in 1936. 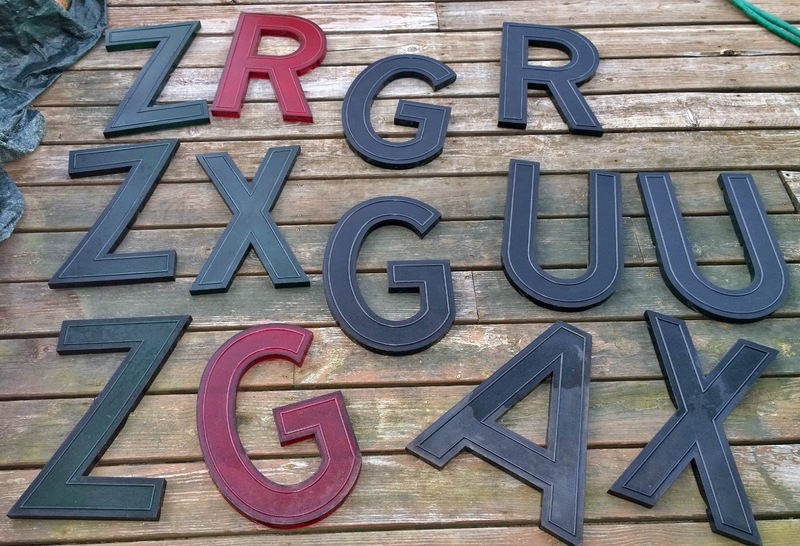 After doing more research I learned that they were made up until 1971 when the 3D letters like this were tossed aside for the new flat letters. 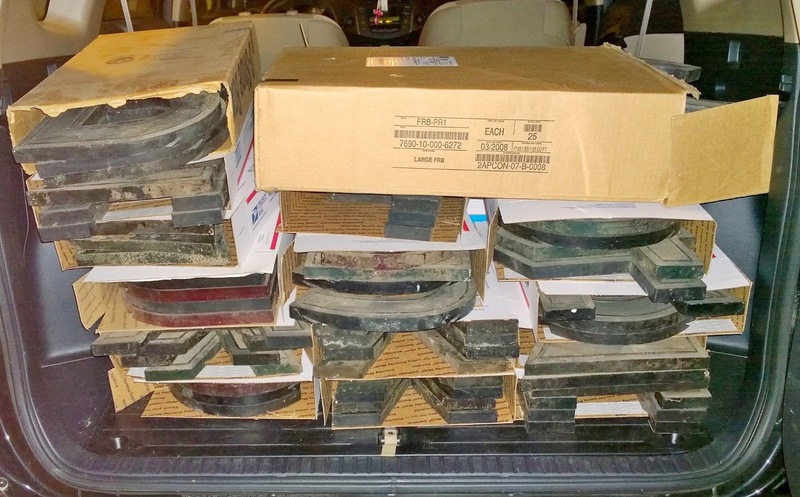 These were used at the Tibb's Drive-In Theater, which is the only remaining drive-in in Indianapolis. It first opened in 1967. I've scrubbed up about half of the letters so far. You can see them drying on my deck. I currently have more soaking waiting for a good scrubbing. As you can see in the first picture, they were quite dirty. They haven't been used in about 20 years. So, the US 40 / Old National Yard Sale was definitely an experience. I saw everything from 25c Pyrex bowls (you better believe I picked those up) to a single jadeite mug priced at $55 (which you know I laughed at on the inside). On Friday we started in Plainfield, Indiana and made it to East Glenn (East Terre Haute), Indiana, which was about 50 miles. We, of course, had to hit a few sales around my mom and dad's house first. They live closer to Plainfield (our starting point) than I do. 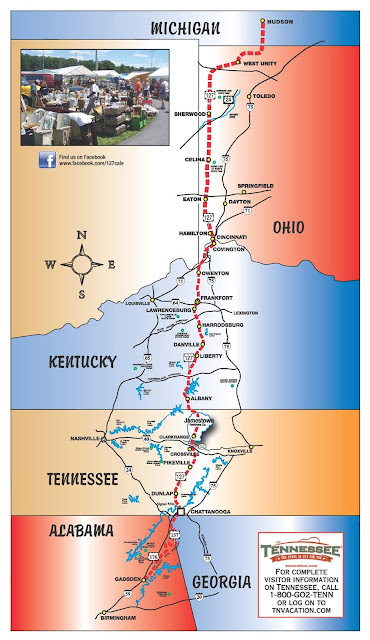 On Saturday we started on the far east side of Indianapolis, Indiana and made it to Mt. Auburn, Indiana, which was about 50 miles. 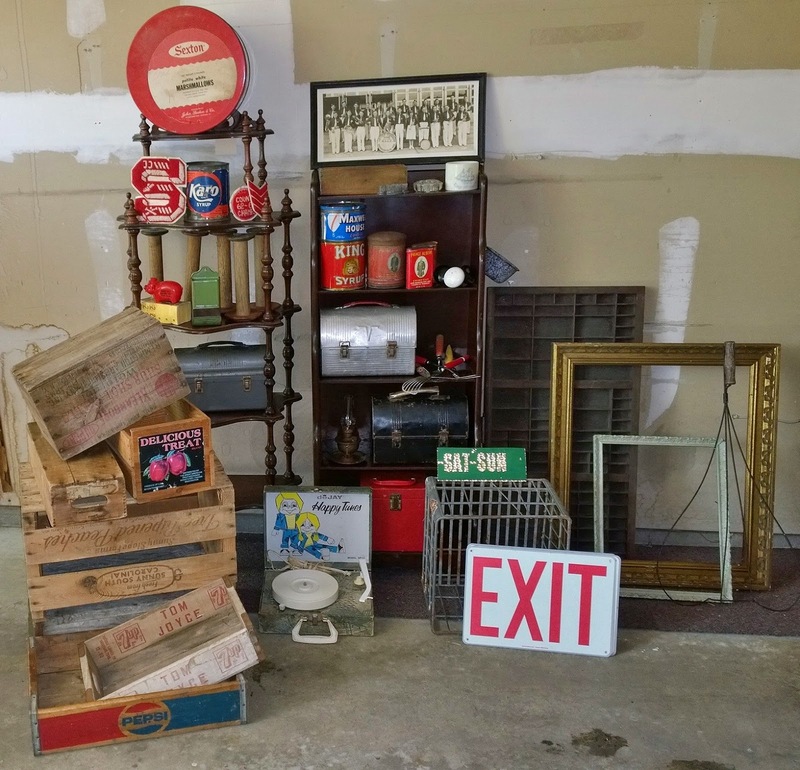 It was quite the 2 days of junkin'. Here's a shot of some of my finds from the 2 days. Check below for close-ups. Keeping the red 45 case to add to my collection, which can be seen here. I'll be keeping this mint green frame. It did have an ugly picture in it, which was just a cut out from an old magazine. I saved the glass, just in case I decide to frame something. Your eyes are not deceiving you. There are 4 typewriters here. And folks, this was showing restraint. I had the opportunity to buy many more. All of these typewriters work great. They all just need new ribbon and new homes. Does anyone want to rescue one? 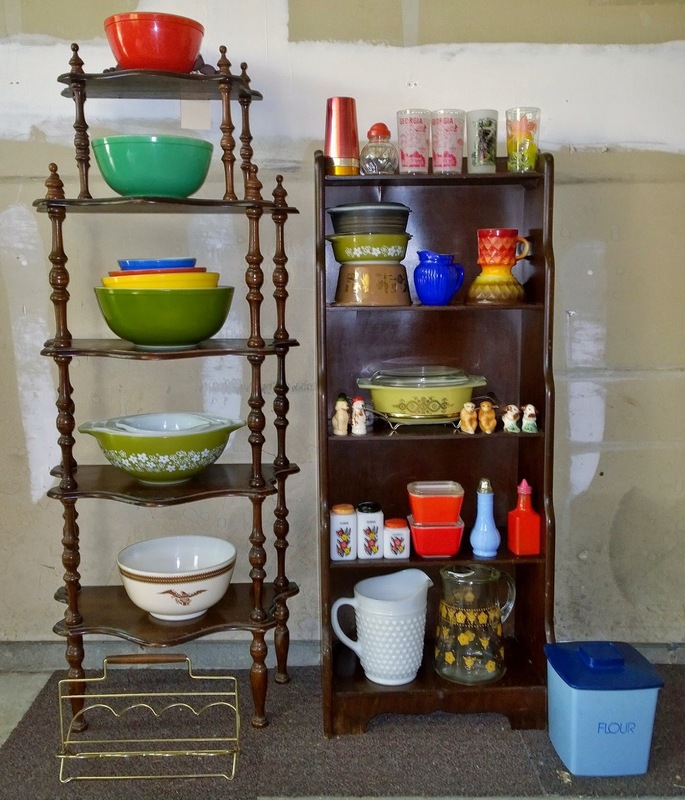 Onto the vintage kitchen section of this episode of "what I bought." I usually don't talk prices on here. Just not my style. But, the red and green primary bowls at the top were bought from a yard sale for 25c each. ARE YOU KIDDING ME?!?! These are in excellent condition too. However, they don't beat my 25c blue Dots bowl. I don't come across alternate primary sets too often - and this one is absolutely mint. The Federal Eagle isn't really the prettiest pattern, but I've never seen it in the wild, it was a good price, so I had to pick it up. If all else fails - it can be used in a military holiday setting (Memorial Day, 4th of July, etc). I had to search a little but the Pyrex casserole/cradle combo on the 3rd shelf is called Golden Wreath and was a promotional piece in 1967-1968. 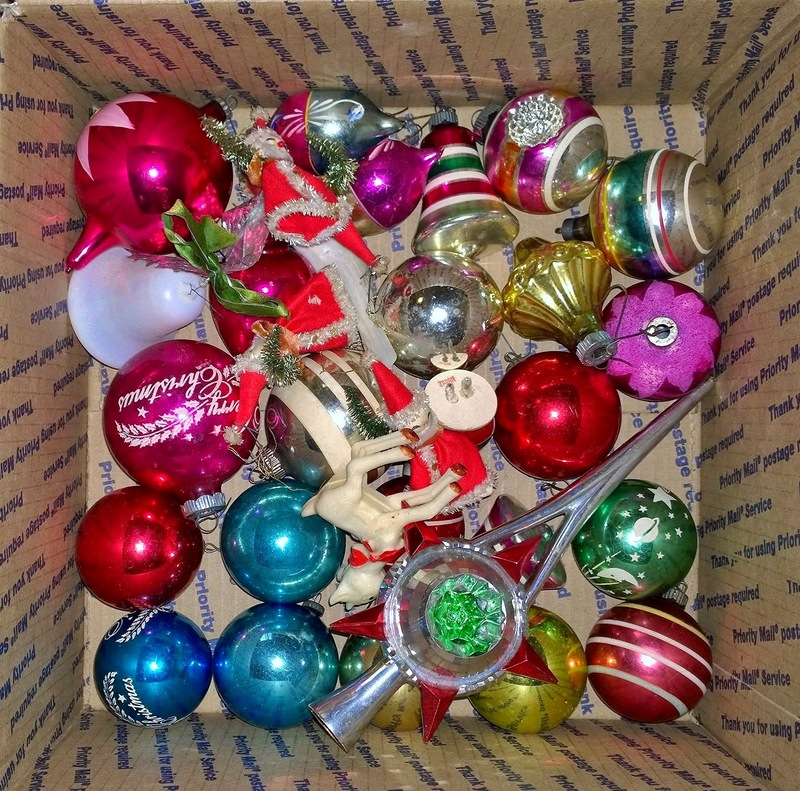 Vintage Christmas turns any mediocre junkin' into great junkin'. I was pretty happy with the little bit I did find. The strips of 5 ornaments all came from my mom's sister who knew I loved Shiny Brites. 2 boxes of unsorted misc. 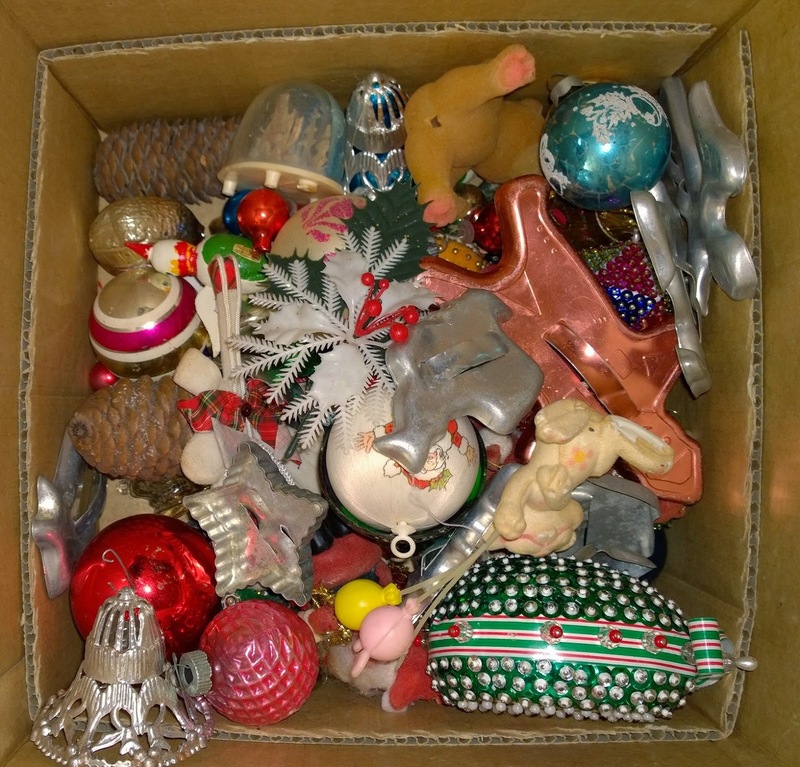 vintage Christmas stuff to go through still. Saving for a rainy day. 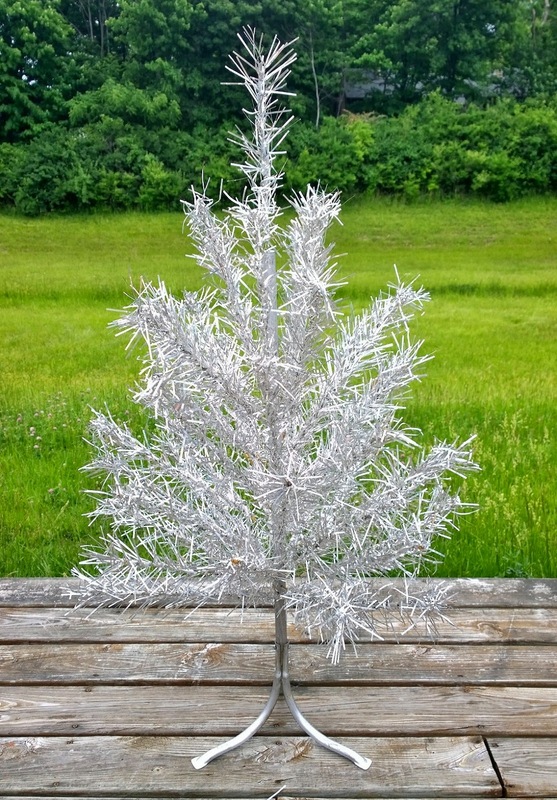 I am SO HAPPY to add another aluminum tree to my collection. This one is about 4ft tall. The other one I own is about 6ft tall. 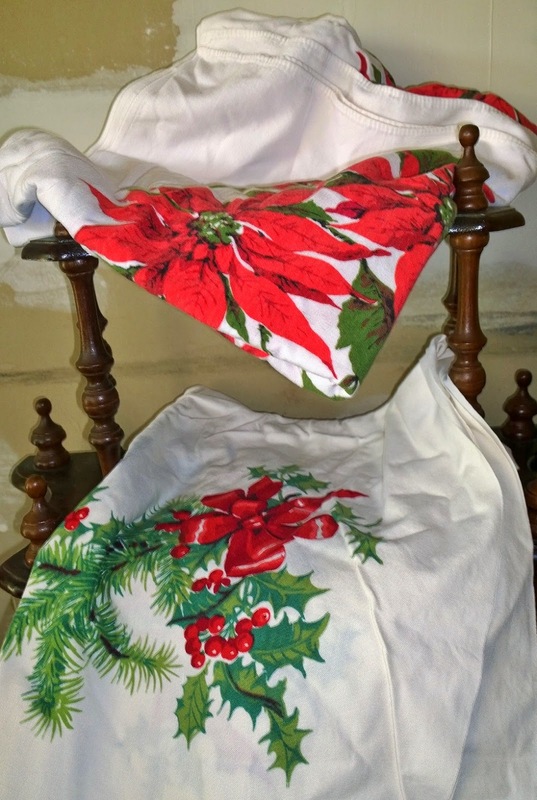 2 vintage Christmas table cloths... a nice transition into the linen portion of this episode of "what I bought." 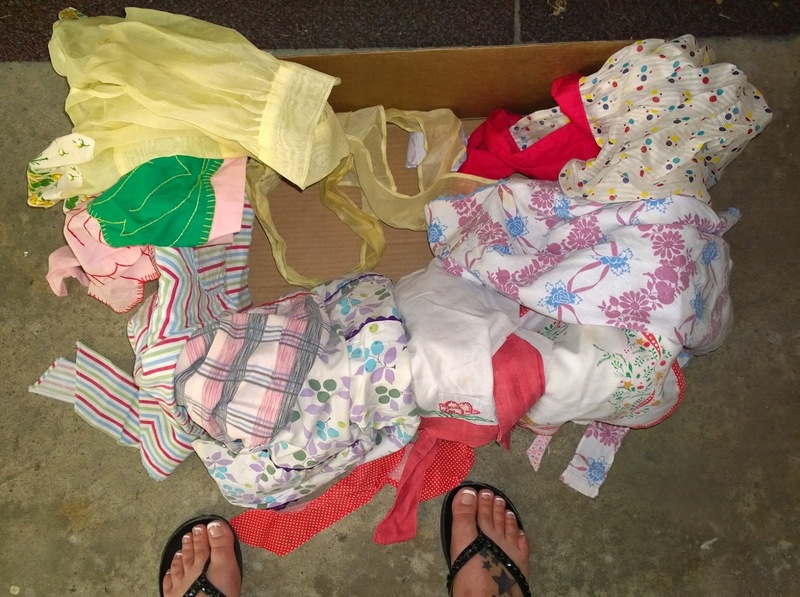 Many, many vintage aprons. How many of you actually wear one when you cook? 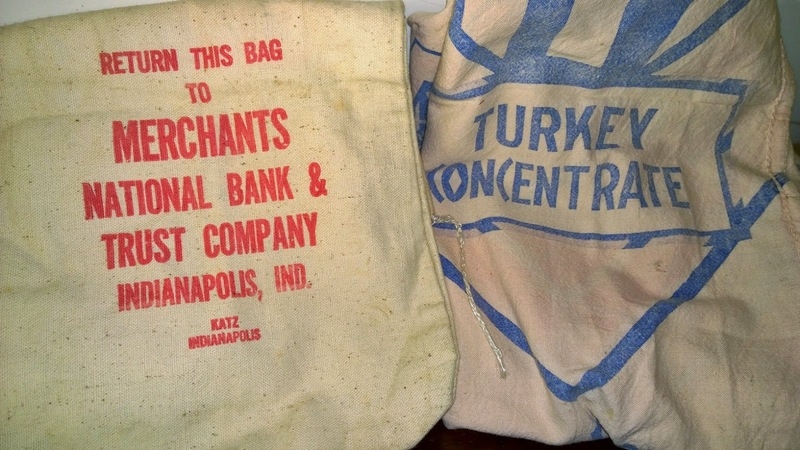 Lastly, this money bag from an Indy bank and an old feedsack that is ready to be repurposed. I'm envisioning it on the seat of a chair that needs reupholstered. That's it for the finds. Let's hope the 2 days of drivin' and junkin' were worth it! So, counting today, I have 4 days left to prepare for the Woodruff Place Flea Market. I started pricing and packing stuff up back at the end of April. I worked on it an hour here and there. And then it hit me about a week and half ago that I didn't have that much time left. Lately I have been spending every waking moment on it, if I'm not at work, sleeping, or doing homework for my current MBA course (which will be the death of me - thankfully it's over in a couple of weeks!). As a reminder I will be set up at: 937 Woodruff Place East Drive, Indianapolis, IN 46201. On Saturday the hours are 8:00AM - 5:00PM and Sunday from 10:00AM - 5:00PM. Get there early Saturday if you're coming. Saturday we're supposed to have beautiful weather: party cloudy and a high of 83. Sunday is a little iffy at this point: 50% change of scattered thunderstorms and a high of 82. So looks like you want to come Saturday... but as you know more people (me included) are more inclined to make better deals on Sunday. Here's a few photos I've shared on my Facebook page lately of my prep for this market. I usually share different stuff and photos sooner than I do here. So go over and like my page! 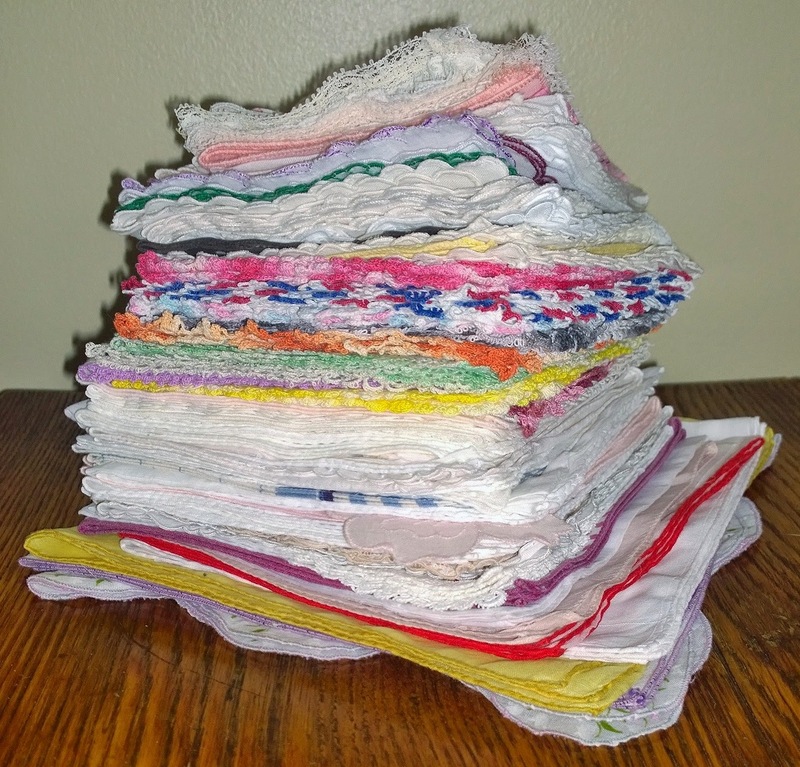 I hate ironing, except when it comes to hankies. They look so pretty all stacked up. Here's what I have ironed and hung of my aprons so far. I can't take the credit for this work. Mom and her sis helped. And as you can see above... I have more to go still! Okay, so I need to sign off for today. I hope you all have a great week. Wish me luck with this weekend. I need the extra cash to help pay for my other summer school class and another big purchase on the horizon (more on that in a few weeks). Wow -- on many levels: your finds, your energy, your job AND you're getting your masters?! Very inspiring. And I'm always amazed when you find so many of one thing. The recent suitcase hoard was incredible and so are all of the marquee letters. Wish I could shop your junk in Indianapolis -- have a great time! Looks like you hit the jackpot with all these treasures. Thanks so much for sharing them at my Show and Share Party. The marquee letters are an amazing score! 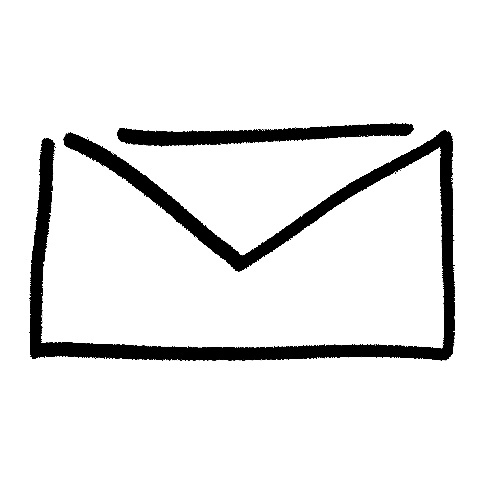 You may have ben crazy busy lately, but you have the goods to prove it. And another tree? Lucky girl! I think it was well worth all of the driving. You got a lot of amazing treasures. I love the typewriters and the marquee letters are super! I think you can count it as a huge success! Have a great week and relax a little if you can! Wow! The letters were such a score! Well...everything you've found is a score. You sure have had great luck! And I'm happy that you found another aluminum tree for yourself. I bet you had sooo much fun going to all those sales...hard work though too. Thanks for sharing with us, Melissa! 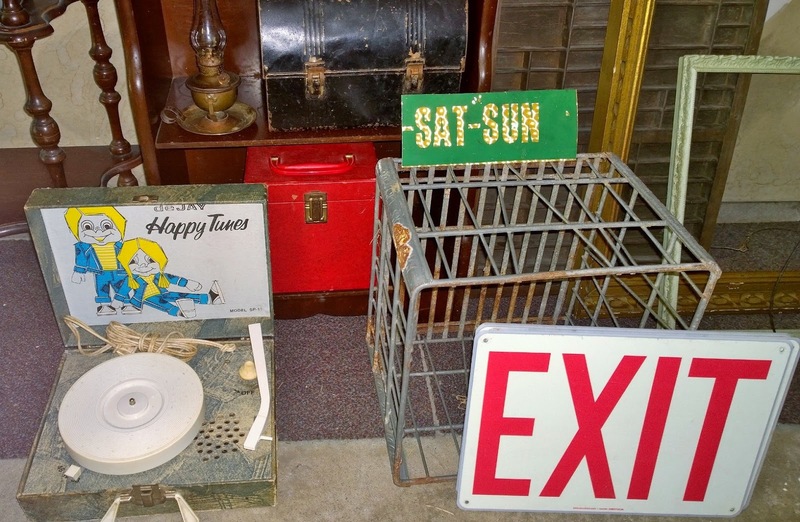 Good treasures - I love the marquee letters, and linens, of course. Cool tree - we grew up with 3 (yes, 3!) aluminum trees/wheels AND a real tree - all in picture windows of our house. My sisters & I've done the 127 Longest Yard Sale - but we don't get very far, lol. We're like that in antique malls too - we can spend a whole day in one and not get through it all. Looks like you were well rewarded with all the driving you had to do. 25 cent Pyrex? No brainer. What a haul!! I bet you are still recuperating from all that junkin'!! And, yes, I do wear an apron when I bake - daughter's friend makes them, I have two full and one half - love them!! OOOH! AHHH! OOOH! That's all I can say. What a haul. 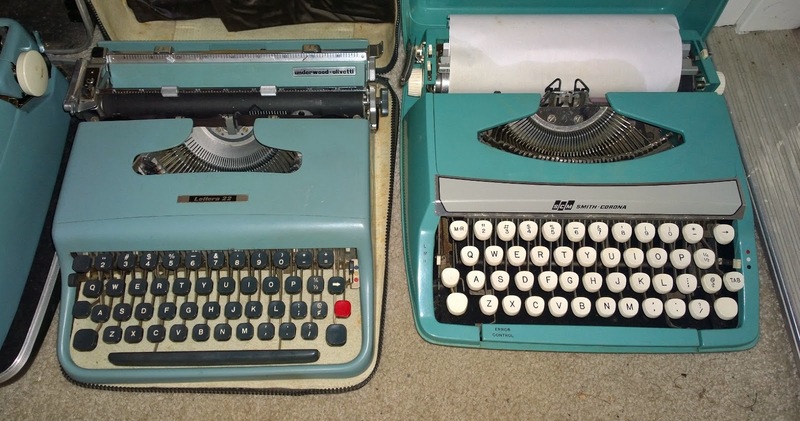 The letters and the typewriters are still my favorites. 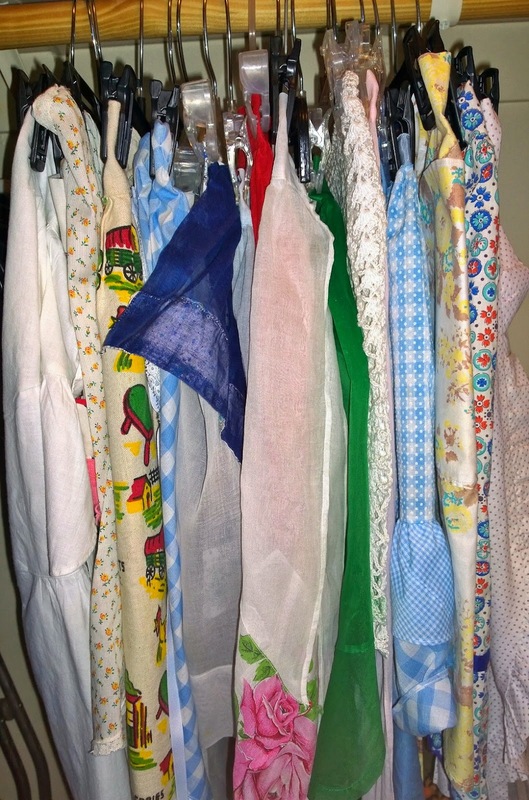 I am curious - please show when you get your space set up how you hang and display your aprons and linens so they do not end up in a pile. Wear my vintage aprons!?! As the saying goes, you hit the jackpot on this outing. 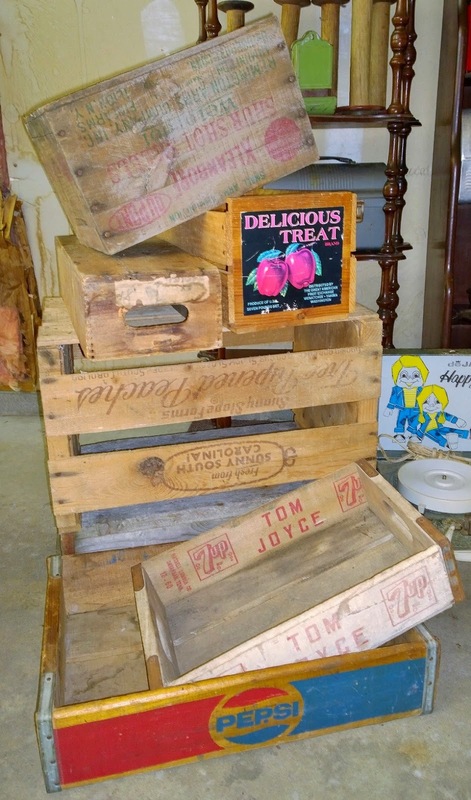 Wow, what an adventure and a load of fabulous vintage treasures! Those marquee letters are amazing. I could go crazy with them. and I adore the aluminum tree! Oh my gosh, I've got to come back when I have more time to look better. Love, love the marquee letters! I would want that exit sign. 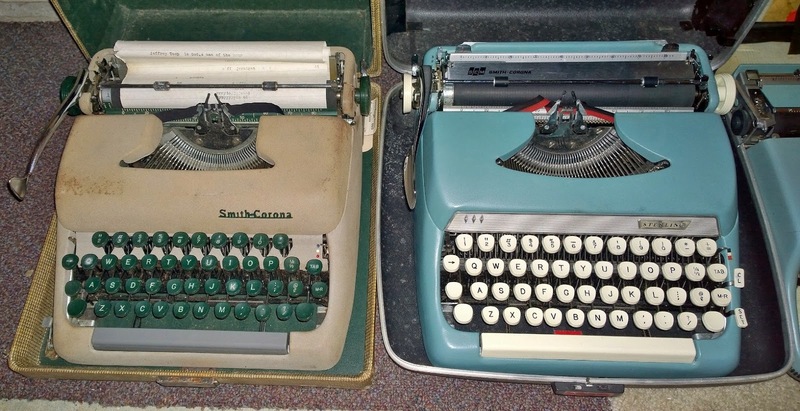 I have a typewriter like the bottom right aqua one. You really made an awesome haul! Thanks for sharing with SYC.